Raw pet food is healthy, safe, convenient, and easy to prepare. 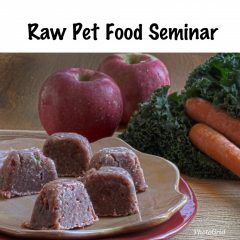 On Sunday, July 22, 2018 from 1:00 p.m. to 4:30 p.m. in Columbus, NC, come learn about the benefits of feeding a raw diet to your dog or cat (such as lean, strong muscles, clean teeth & shiny fur) and how to safely and easily prepare the food. We will be covering basic nutrition for dogs and cats, the ingredients necessary for a complete diet, and demonstration of a sample pet food recipe. Plus, you will learn how to craft your own bone broth, fermented veggies (“fur-ments”), sprouts, and homemade species-appropriate treats. Raw pet food is healthy, safe, convenient, and easy to prepare. On Sunday, July 22, 2018 from 1:00 p.m. to 4:30 p.m. in Columbus, NC, come learn about the benefits of feeding a raw diet to your dog or cat (such as lean, strong muscles, clean teeth & shiny fur) and how to safely and easily prepare the food. We will be covering basic nutrition for dogs and cats, the ingredients necessary for a complete diet, and demonstration of a sample pet food recipe. Plus, you will learn how to craft your own bone broth, fermented veggies (“fur-ments”), sprouts, and homemade species-appropriate treats. 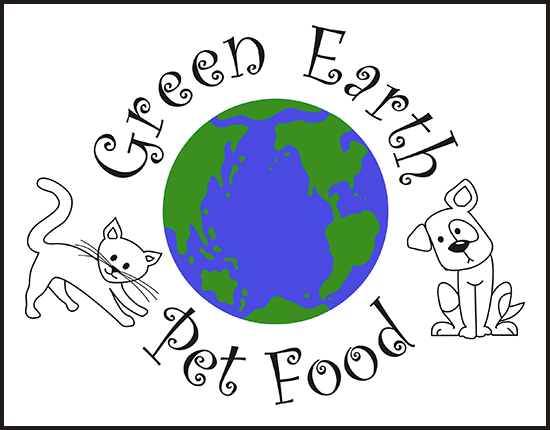 Instructors are Kristi King of Green Earth Pet Food and Noel Thurner, long-time raw feeder and fermenter extraordinaire, with combined 40+ years’ experience feeding raw. Location: Bonnie Brae Vet Hospital, 155 Shuford Rd, Columbus, NC 28722. Seminar from 1:00 to 4:00 pm with a Q&A session from 4:00 to 4:30 pm. Please do NOT Bring Your Pet With You. You may want to bring paper/pen or laptop for taking notes.